Cincinnati, fitness, yoga, cycling, reviews and more! When people hear I write a blog about packed lunches they often say they could use help packing a lunch. This perplexes me partly because I pack a lunch out of necessity and forget that others don’t work in areas without food options. For me, no packed lunch means no lunch and I like my meals! To get started, be honest with yourself about what you like to eat. If you don’t usually eat salads as an entree, don’t expect that packing one is going to make you excited to eat it as lunch. If you like making dinner, consider taking the leftovers for lunch. If you usually eat out, you probably get a dinner that is actually two servings, portion part out for the next day’s lunch. From there, keep a list of foods you would eat in a packed lunch, this is everything from the main attraction to sides, like fruits and vegetables. 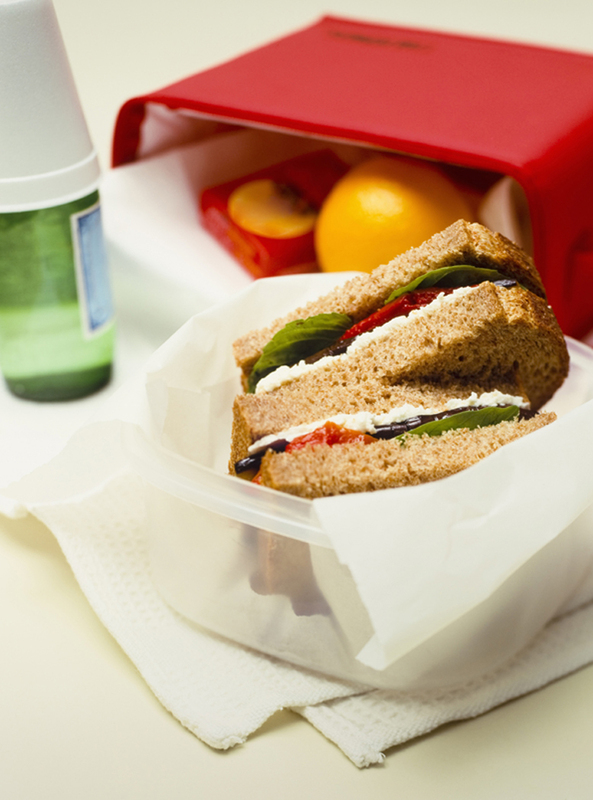 Make sure you have the proper lunch packing supplies: lunch tote, reusable sandwich or snack bags, containers with lids. Plan to pack your lunches the night before, that way you haven’t added any tasks to your morning routine. Once you find your groove and try it a couple days and then a week, you’ll be an old pro!